There is a special issue in the International Journal of Approximate Reasoning on Probabilistic Logic Programming with papers from the workshop and additional contributions. Submission link will become available in late November. Authors should prepare their manuscript according to the Guide for Authors available from the online submission page of the International Journal of Approximate Reasoning (IJAR) at http://ees.elsevier.com/ija/. Authors must select "Special Issue: Probabilistic LP" when they reach the "Article Type" step in the submission process. All papers will be peer-reviewed following the IJAR reviewing procedures. 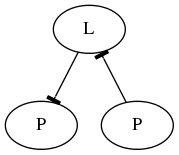 Papers on all aspects of Probabilistic Logic Programming are sought.